If you’re planning group travel in and around Denver, you can streamline your transportation in a private shuttle. Champion Charter Bus can help you craft your own custom itinerary while handling all of your travel needs. No matter the destination, we’ll provide the resources and expertise to get you to your events simply and efficiently. Reserve your affordable transportation method with our travel consultants today at 1-855-826-6770 to start planning your dream trip! As the state capital of Colorado, Denver provides visitors with a window into the heart of the state. Denver is famous for authentic Mexican cuisine, trendy music festivals, and its unique mountain ranges, creating the perfect climate for a comprehensive itinerary for first-time visitors. While traveling around the city, visitors can enjoy a plethora of iconic local hot spots nestled in the Colorado Rocky Mountains, making it a bucket-list destination for seasoned outdoor adventurers and nature lovers alike. We service all types of group events from corporate conventions, wedding parties, sports outings, to school field trips. Champion Charter Bus works with certified drivers experienced in Colorado travel before matching any client with their custom bus rental. Our travel professionals will ensure your bus is up-to-date on all the safety standards of the industry. Your private driver will even streamline your trip navigation and parking. Groups planning to book a hotel for their trip to Denver don't have to limit themselves to options within the city. Though finding group transportation can be a challenge and public travel to and from hotels is often limiting, a private bus can be a transformative ridesharing solution. Group your family and friends into a private rental to get the most out of your trip as your personal driver provides you with a simple pick-up or drop-off solution to all your morning, afternoon, and evening events around town. Planning to sight-see around Denver by bus? Transport your family and friends through the Denver city streets seamlessly with a personalized shuttle rental. If you’re visiting for the first time, these popular landmarks are a great place to start your journey! Pack your bags and prepare to set sail as you explore Colorado’s premier city in three days! Follow along with our list of tourist favorites as you plan your unforgettable weekend itinerary. 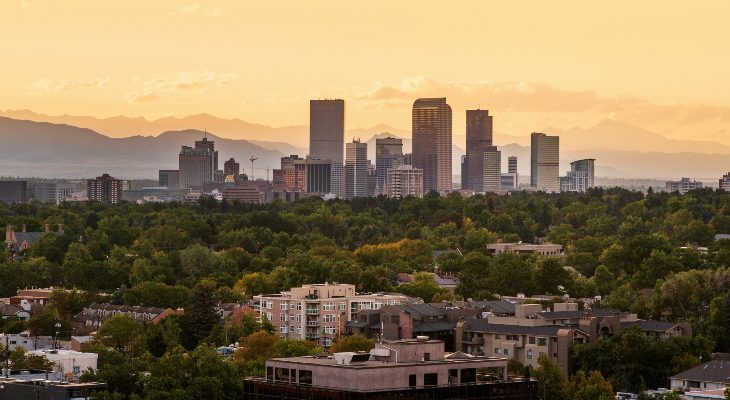 There’s no better way to spend the middle of your trip to Denver than by exploring the top historic sites and shopping districts available in the region. 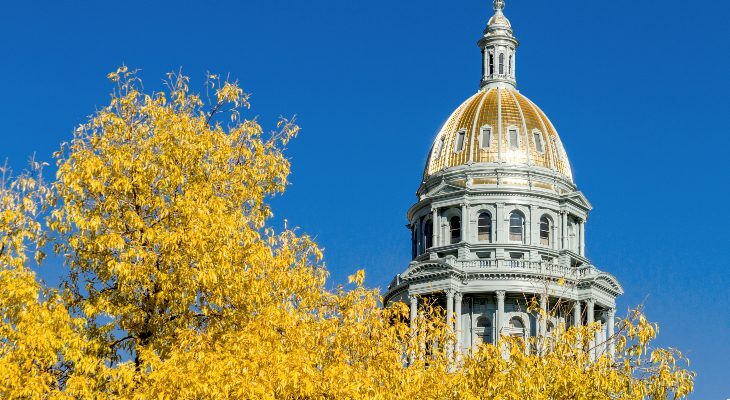 Take a guided tour of the Colorado State Capitol Building, home of the Colorado General Assembly and residence of the Governor of Colorado and Lieutenant Governor offices. The building is an intentional replica of the United States Capitol. Discover Union Station, an entertainment hub where you can dine, shop, and take transit around the bustling downtown scene. This Denver attraction also provides restaurants and lounges, weekly farmer’s markets, live concerts, and a nearby beaux arts-style transport hub. Enjoy a relaxing stroll through a nature lover’s paradise while with your friends or family. As Denver’s largest park, this premier landmark is home to several main lakes, spectacular mountain views, a public golf course, gardens, hiking, and jogging trails. 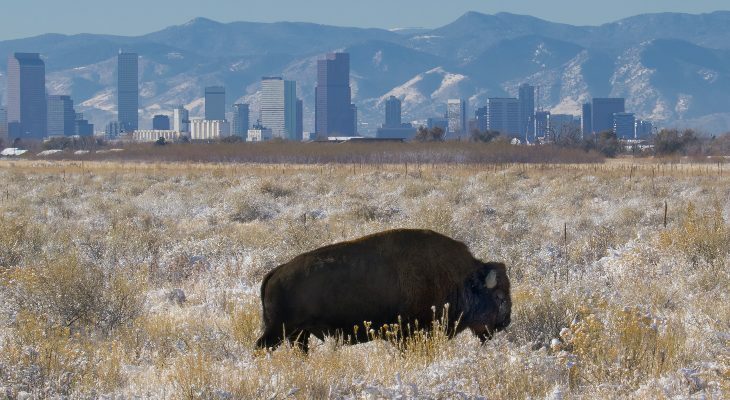 Start your mountain getaway with non-traditional adventure sites along Denver’s most beloved parks, entertainment exhibits, and historical destinations. Explore the Colorado Center, created as one of Denver’s most modern attractions as it is designed for hands-on educational purposes through exhibits and programs for children, adults, and special private events. The museum provides a unique history of the state of Colorado. Stop by Cherry Creek for an upscale mall offering more than 500 department stores, boutiques, art galleries, and cafes. The center provides one-of-a-kind-shopping in a browsing paradise for routine shopaholics with popular shops like Neiman Marcus, Nordstrom, and Tiffany’s. Watch your favorite seasonal events including Disney on Ice, Ringling Brothers and Barnum and Bailey Circus, and the Denver March Pow Wow. The Denver Coliseum is an indoor arena owned by the City and County of Denver that hosts live music concerts and local events. End your mountain adventure with a bang as you travel around to these four unforgettable sites in the Rocky Mountains. Tour the iconic University of Colorado, located in the foothills of the Rocky mountains nearby a collection of trails overlooking the cityscape. The university has now gained a reputation as one of the most prestigious colleges in the country. Adventure to Colorado’s premier outdoor attraction which offers a wide variety of recreational activities and panoramic views in the heart of the Rocky Mountains. The high alpine mountains and low-reaching valleys provide the perfect topography for visitors to climb, ski, and hike. Admire this unique exhibit of Colorado railroads, locomotives, and artifacts in a spectacular location. Stop by the weekend train rides on the Galloping Goose as it transports guests around a ⅓-mile loop of track replicating a 1800s-style Colorado railroad. Travel back in time in the rich mountain valley of Georgetown, one of the most elegant railroads and mining towns with a set of 200 old Victorian homes and buildings. The surrounding hills are capped with abandoned gold mines, Old West historic sites, and quaint shops on Main Street. Ready to plan your next trip to Denver, Colorado? 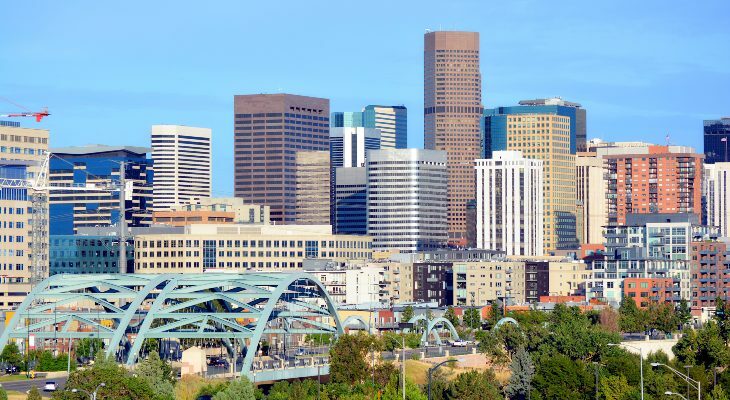 If you’re planning a group trip in Denver, a private shuttle is a great way to eliminate driving concerns at an affordable rate while you explore the greater Colorado area. Book Champion Charter Bus for a cost-effective national travel solution. We also service other major cities across the country, such as Seattle, Sacramento, Beverly Hills, Phoenix and more.